Manchester City To Re-Ignite Their Interest In This Italian Defensive Rock: Why Pep Has To Get This Done? Manchester City manager, Pep Guardiola is expected to dispose of almost the entire back line coming summer, barring John Stones may be, whom the manager holds in his highest regards. The manager has grand plans for revamping the entire squad and defence is expected to see the biggest influx. And according to reports, the boss has his eyes set on Juventus centre-half Leonardo Bonucci. With Nicolas Otamendi seemingly set to be a possible departure to Real Madrid next season, the boss would desperately need someone big and strong in that role alongside Stones. The Italian defender fits the bill perfectly and his recent bust-up with manager Massimiliano Allegri has made things further easy for City; though the duo had reportedly made peace soon after. The 29-year-old has been in Juventus for seven years now establishing himself as their first-choice centre-half. However, Allegri has often dropped him to the bench of late which indicates that the rift between them is still on. And apparently, the centre-back has expressed his desire to play for City boss Pep Guardiola. Guardiola has always put his trust in young players, who are intelligent and can put in tremendous work rate. But, if he has learnt anything in his first Premier League season, it is that there are fixtures that cannot be won with finesse, and towering muscular players can save the day for him. Landing Bonucci will never be easy as Chelsea have also been keeping tabs on him. Chelsea, in fact, might have the edge as their manager, Antonio Conte, has previously managed Bonucci during their stint at Juventus. Bonucci earns £110,000-a-week in Turin at the moment, and both Chelsea and City could double that if it comes to it. It will at last boil down to the manager, it seems. Apart from the coach, Bonucci has more reasons to leave Juventus next season. The Serie A champions are looking to bring in fresh blood to the side, who can carry the mantle for the next six years. Juve’s young talents Mattia Caldara and Daniele Rugani have been brilliant too, and the club has plans to start them next season, which automatically indicates a way out for Bonucci and Chiellini. 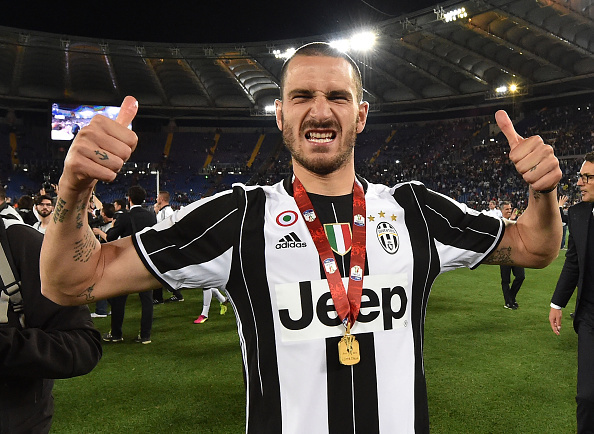 Juventus could be tempted to sell Bonucci if an approach around £40 million comes their way. And although Bonucci turns 30 next season, Italians are known for their longevity, which means he still has four years left at his peak. Bonucci is a brilliant reader of the game and excels in his passing, an attribute that Guardiola cherishes. How Will Celtic Cope With The Potential Departure Of 24-Goal Star: Rodgers To Opt For Experience? Manchester City Back In For This Italian Defensive Rock: An Ideal Player For Pep?